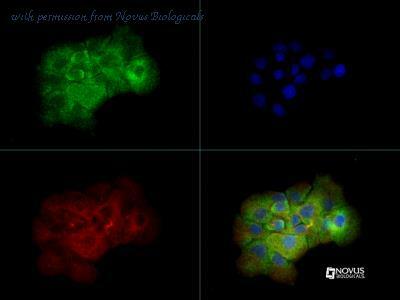 Cytotoxicity Induced by TNF-alpha and Neutralization by Rat TNF-alpha Antibody. 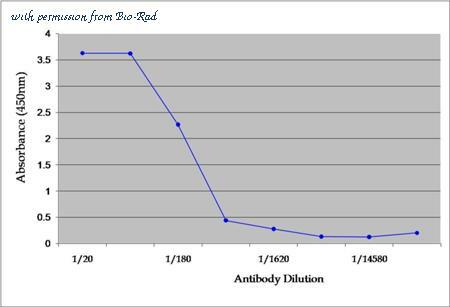 Recombinant Rat TNF-alpha (Catalog # 510-RT ) induces cytotoxicity in the the L-929 mouse fibroblast cell line in a dose-dependent manner (orange line), as measured by Resazurin. 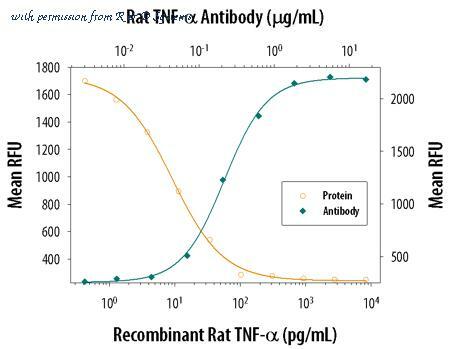 Cytotoxicity elicited by Recombinant Rat TNF-alpha (0.25 ng/mL) is neutralized (green line) by increasing concentrations of Goat Anti-Rat TNF-alpha Antigen Affinity-purified Polyclonal Antibody (Catalog # AF-510-NA). The ND50 is typically 0.15-0.75 ╡g/mL in the presence of the metabolic inhibitor actinomycin D (1 ╡g/mL). 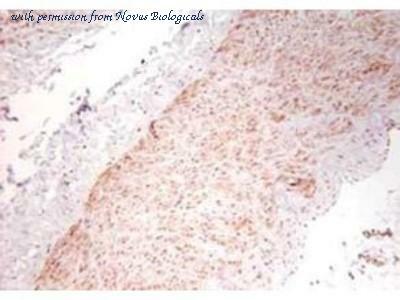 Cytotoxicity Induced by TNF-alpha and Neutralization by Rat TNF-alpha Antibody. 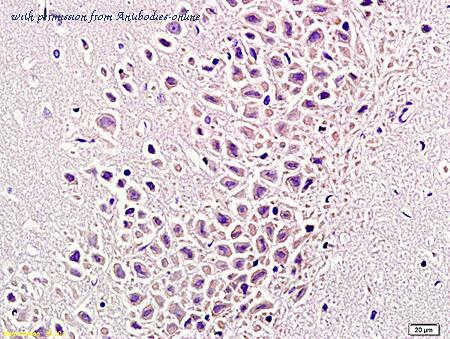 Recombinant Rat TNF-alpha (Catalog # 510-RT ) induces cytotoxicity in the the L-929 mouse fibroblast cell line in a dose-dependent manner (orange line), as measured by crystal violet staining. 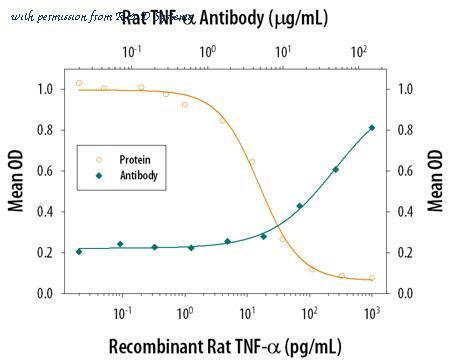 Cytotoxicity elicited by Recombinant Rat TNF-alpha (0.025 ng/mL) is neutralized (green line) by increasing concentrations of Rat TNF-alpha Monoclonal Antibody (Catalog # MAB510). 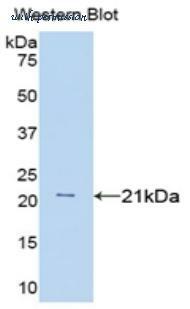 The ND50 is typically 10-40 ╡g/mL in the presence of the metabolic inhibitor actinomycin D (1 ╡g/mL). Published customer image: . 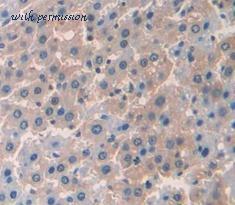 Rabbit anti Rat TNF alpha antibody used for evaluation of TNF- expression in rat brain be western blotting. Image caption: . 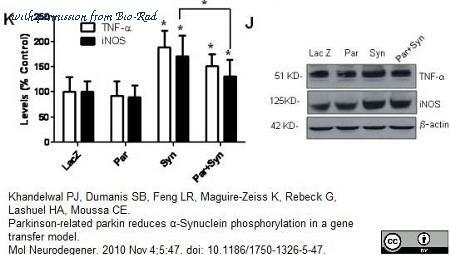 α-Synuclein-induced neuro-inflammation and parkin protection. 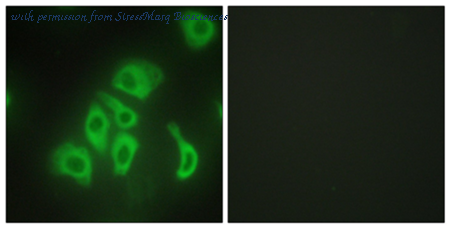 Western blot of TNF- and iNOS in striatal extracts analyzed on 10% NuPAGE SDS gel (Invitrogen) and I). 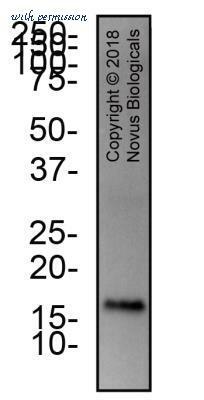 Densitometric analysis of immunoblots, Asterisk is significantly different to LacZ control or as indicated, ANOVA, with Neumann Keuls multiple comparison N = 4, P Mol Neurodegener. 2010 Nov 4;5:47 . 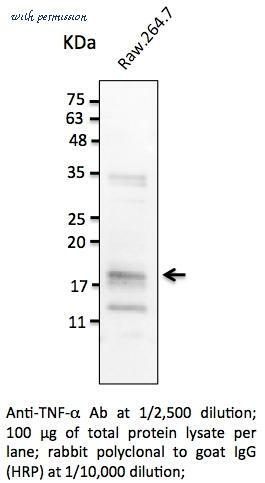 Western blot of recombinant TNF Alpha. This image was taken for the unconjugated form of this product. Other forms have not been tested.